Welcome back fellow lovers of space and time. As you know, I’ve been a science fiction fan since I was a kid. One of the greatest things about sci-fi is how inspiring the stories used to be. Looking back at Jules Verne, H.G. Wells, Robert Heinlein and Arthur C. Clarke we see amazing inventions which were inspired by their works. Mankind would read their stories and ask, “What if?” Children would look up at the stars and dream of other worlds and wonder how they could create the newest technologies inspired from stories. 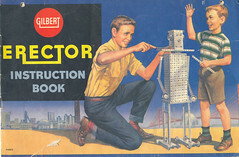 My brothers and I were such children with our Erector Sets and Lego’s. Those children would grow up to become astronauts, inventors, theorists and visionaries. Those men and women created cars, rockets, space shuttles, walked on the moon, created and live on the International Space Station, invented the telegraph, telephones, cell phones, communications satellites, laptops, tablets, submarines, cameras, automatic doors, and so much more. Many of the things we take for granted, came from the imaginations of writers before many of us were born. Positive inspiration birthed from the minds of men and women who dared to dream of the possibilities of Mankind. There are two theories regarding the need of Science Fiction which resonate among those of a scientific mindset. The first theory is the obvious Inspiration Theory, which states that science fiction is necessary for inspiring children into fields of science and engineering. Current SF trends have taken a depressing tone–zombies, dystopian societies run by tyrannical or oligarchical governments, climactic destruction, vampire infestation and worse. Where in those stories is the innovation and inspiration for a child to pursue a career in the sciences? 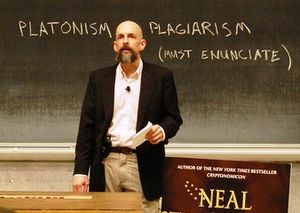 Thanks to Neal Stephenson and several other visionaries, we now have a voice in the wilderness crying out for a more positive future for humankind. Project Hieroglyph was created because of Neal’s trumpet call to the pathfinders of our time. With P.H., scientists, authors, engineers, mathematicians and entrepreneurs join together to collaborate on new big ideas for the future. While the argument could be made that there are technological advances, these advances come from inventions birthed in America and Russia 60+ years ago. The saying “There’s nothing new under the sun”, comes to mind. It is past time for SF to come back to its roots. We as the writers of a genre founded by men of vision decades beyond their time have a responsibility to continue that esteemed duty. A few weeks ago, I asked a few questions to which I’ve yet received an answer from my readers. Today I ask again. Do you believe Humanity is heading toward a dystopic future, or one more akin to Gene Roddenberry’s vision of our future? Will we destroy ourselves, or will we spread out among the stars and bring humanity to a better future? Will we bring back true creativity which will take us into a better future? Or will we destroy ourselves? Tell me what you think, and at the end of this series–to be announced on December 17–one lucky commenter will win a $25.00 Amazon Gift Certificate. Until next week, I leave you with this quote.